"Oh, you REALLY got scared this time. I thought I was the scared one, but YOU...what's got into you, Spyro? I've never seen you this scared before." "Yeah, but it's just weird, you know? I thought I can easily take those things out with my moves...how were they not burned by my fire?" "Well, then Tomas told us..."
"Where is that big guy, anyway?" Spyro looks at a big bulge made by a pile of wooden planks. The wood cannot be alive, Spyro thought, so he walked closer to the bulge. There, he sees Tomas, stuck under a large bundle of the sticks of his own home. "Damn, you got hit hard," Spyro said. "Yeah, just help me out of this rubble, Spyro, I've experienced enough trouble as it is," Tomas replied. "And just how am I supposed to do that? I'm still young, and I'm not on my way to become two-legged so I can finally use my front legs to pick up things rather than my mouth, so I don't know what you're asking me to do if you expect me to -- "
"I don't want you to lift this wood off me, Spyro. I want you to burn it." Spyro is awestruck. "Wait, WHAT?!? Oh, nonononono, there's no WAY I'm going to burn that s#!t on top of you. You know what's gonna happen if I do?" "It's okay, Spyro, I cast a spell on myself a long time ago that makes me completely resistant to fire. You can't hurt me." Spyro is still in doubt. He then turns his head to Sparx, who says, "Well, go ahead, do it." Spyro then walks closer to Tomas, still in the bundle of planks, and begins to exhale bursts of red fumes that slowly burnt the wood to its weakness. A few seconds later, Tomas was able to free himself by breaking the weakened wood, and then he rose. To Spyro's surprise, Tomas has no burn marks on any part of his body, not even his wings. However, injury was clearly evident: Tomas fumbled on one foot and grunted. "Oh god, are you okay?" Spyro asks. Luckily, Tomas was already holding his magic staff, or else he would have completely fumbled to the ground. "Yeah," Tomas says, "the Shadow Lurkers just broke my *agh* foot. I'm going to need to find a healer in order to fix it up." It was Sparx's turn to talk: "Wait, what's a Shadow Lurker?" "I think he's talking about one of those ugly things that we ran away from," Spyro answered. "He's right, Sparx," Tomas said once more, "but I'll tell you more of those things later. For now, we must leave to the dojo. At least we can find shelter there." Tomas starts to walk on his now handicapped foot. He limps with every step, as his injuries now greatly limit his mobility. 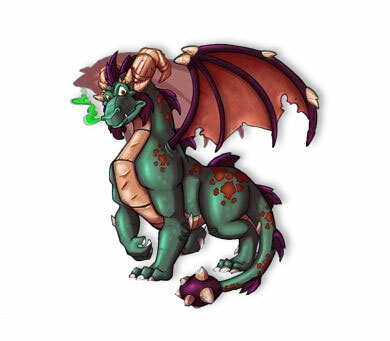 Spyro and Sparx were looking at him and then looking at each other, feeling sorry for the elder. They then start following Tomas at a casual pace. The humor also should've been retained for some, but not ALL moments. Remember when Tomas went back to the Shadow Realm to try saving the other elders, but then chickened out because of how dangerous the Shadow Lurkers were? Well, I'm imagining a different take on that, too: he BRINGS one of those dang things with him. Tomas barely notices before he gets bitten in the neck by the thing, but the dragon notices it and unintentionally kicks the creature towards Spyro, in which the thing is 20 feet away from Spyro. Both Spyro and the Shadow Lurker lay eyes on one another, and the Lurker starts heading towards Spyro, which makes him flinch, saying, "Oh, no no no no NO NO!!!!!!!!" But then Tomas hits the creature with his staff, as if he's hitting a golf ball. The camera then shows the outside of the dojo, in which the Shadow Lurker starts flying out of the dojo (think of Looney Tunes for a bit. You know some of those punches are so hard, that the punches send their victims flying?). I mean, really, that's how I think of Shadow Legacy now. If I played Shadow Legacy again, it'd just be bland, even if I think of MY version of the game. By the way, now that I've explained this, what do you think of my take on the scene?